Ebina Racing surprised us earlier this year with their Bluebird 910 Super Silhouette replica at the Tokyo Auto Salon but it is not as if they did such an amazing thing out of the blue. 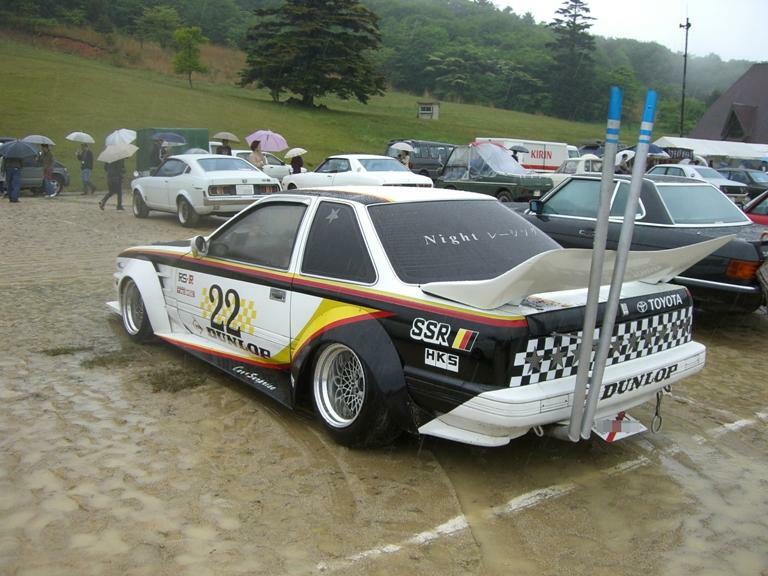 A few years ago they already did a similar thing with a Mazda Savanna SA22C Super Silhouette replica. 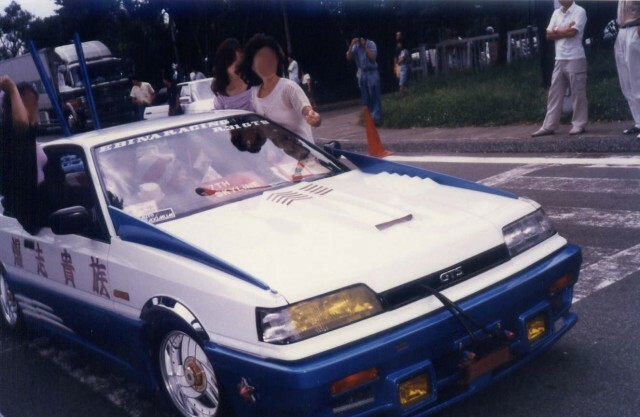 It may look horrible by todays standards, but back then their R31 GT-S looked stunning: flaked paint, victory pipes, hood fins, Hiro V1-R rims, chromed fender flares and Testarossa style gills on the side. Everything you needed on your Skyline in the late 80s! Feb 18th Exhaust of the week: HachiRock victory! Last Thursday I was reading one of the RC car features on Speedhunters. 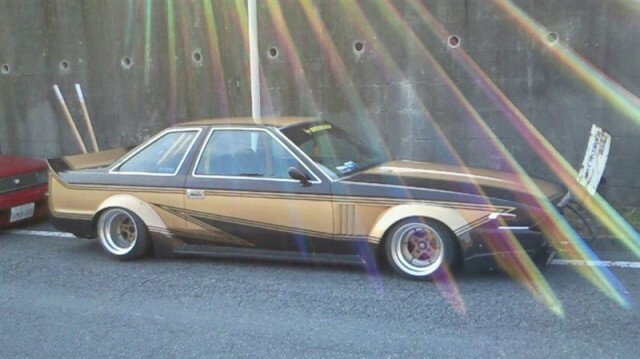 This feature was about a roofchopped Toyota Soarer by Tijs Lochbaum crafted with the most tiny details. 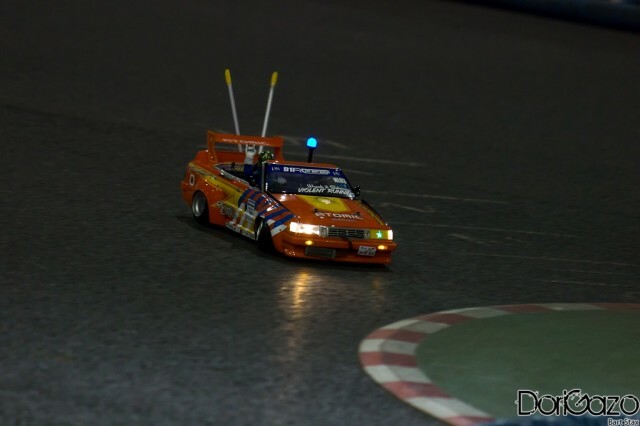 It reminded me of another RC car that was sent in by one of my readers: a roofchopped Mark II GX71 with the same level of details as the Soarer. Could it be??? Yes indeed: almost two months ago the very same Tijs approached me with the picture above and just look at all those tiny details! 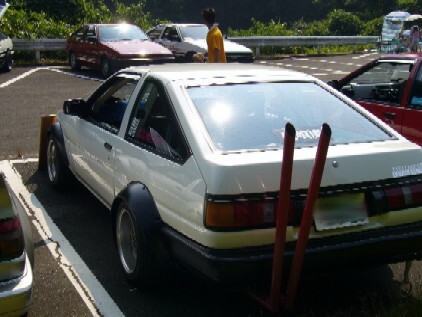 At a glance you immediately spot the oil cooler, blistered fenders, hood fins, victory exhaust pipes, JDM license plate, headlight covers and the bosozoku driver inside!